Biscuit's girl needs to take something to school for show and share day. While she tries to decide what to take, Biscuit comes up with his own idea. Off to school! 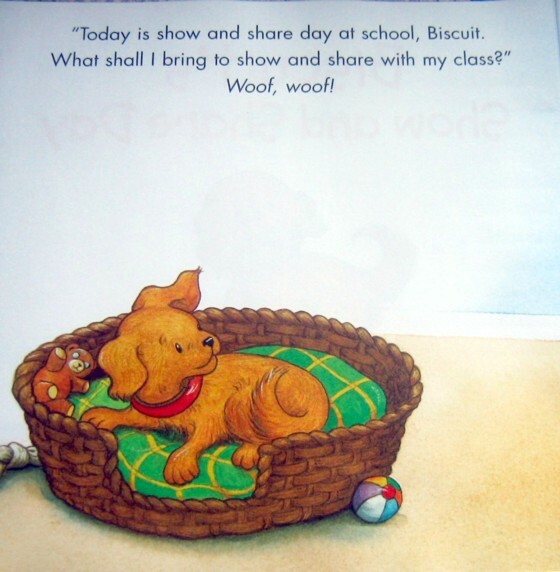 In another cute Biscuit book, preschool children will delight in the puppy's antics as the little girl looks for something to show her class. 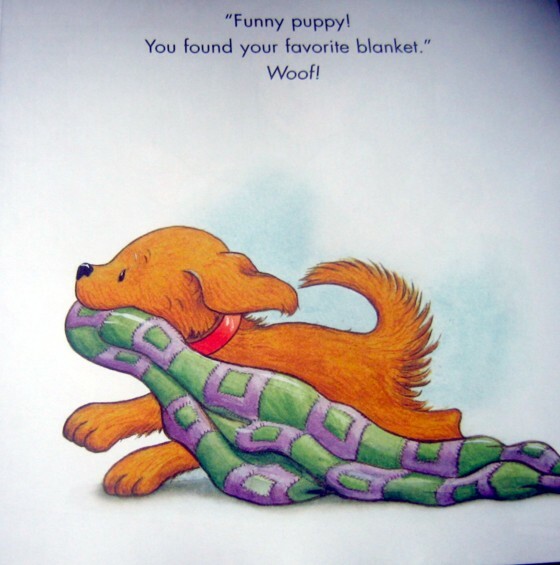 Delightful illustrations and a simple storyline make this a great choice for youngsters. 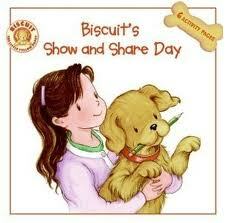 The only snag is that the little girl takes Biscuit to school on the bus. What a sweet, idyllic moment, but watch out for children who take this to heart--they might try to take their pets to school! There are six activity pages at the end of this book. 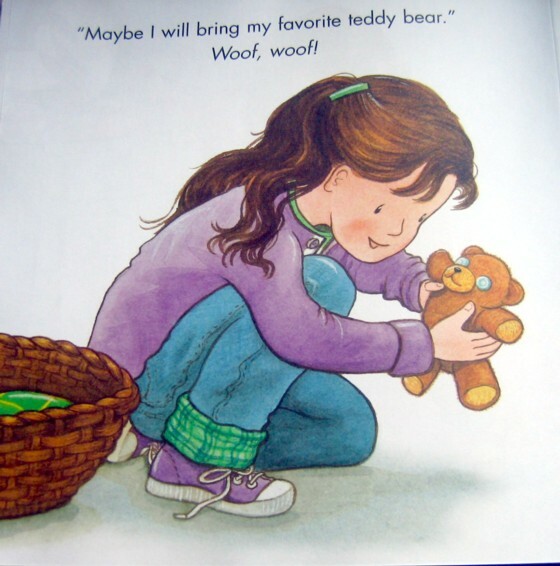 They range from supremely easy for the younger children to mildly challenging for beginning readers (a word find). This is a nice addition. Biscuit fans will enjoy this new installment, and parents are likely to walk away with a warm feeling as well.